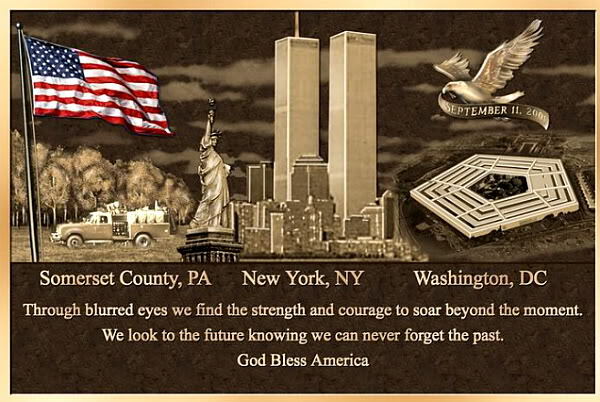 This entry was posted in Faith and tagged 911, Amazing Stories, New York, Twin Towers by Lynn Rush. Bookmark the permalink. Lynn, nice post and comments too! Today, tears cloud my vision as half mast flags clear my memory and God bless America prayers slip from quivering lips. Images like this still choke me up! I hope America never forgets! Hi, Jennifer. Thanks for stoppin’ by. No. I got it from Photobucket. If you click the photo, it’ll take you to the source. (Well, hopefully, if I did the link right). When I saw it, I thought the same “It’s perfect”. Have a great weekend, Jennifer. Remembering with you, Lynn. Did you create that illustration? It’s perfect.